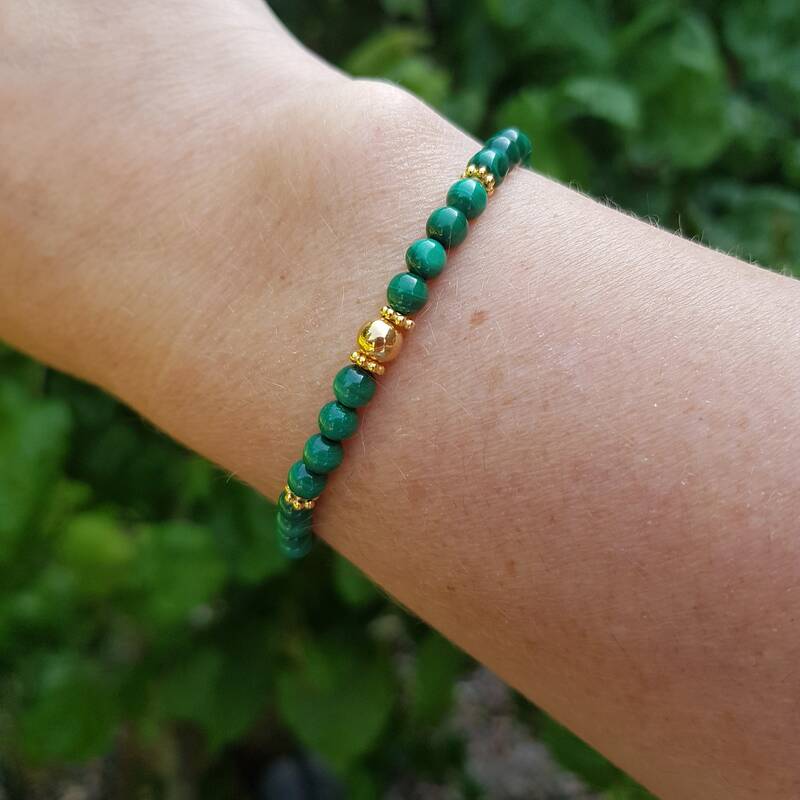 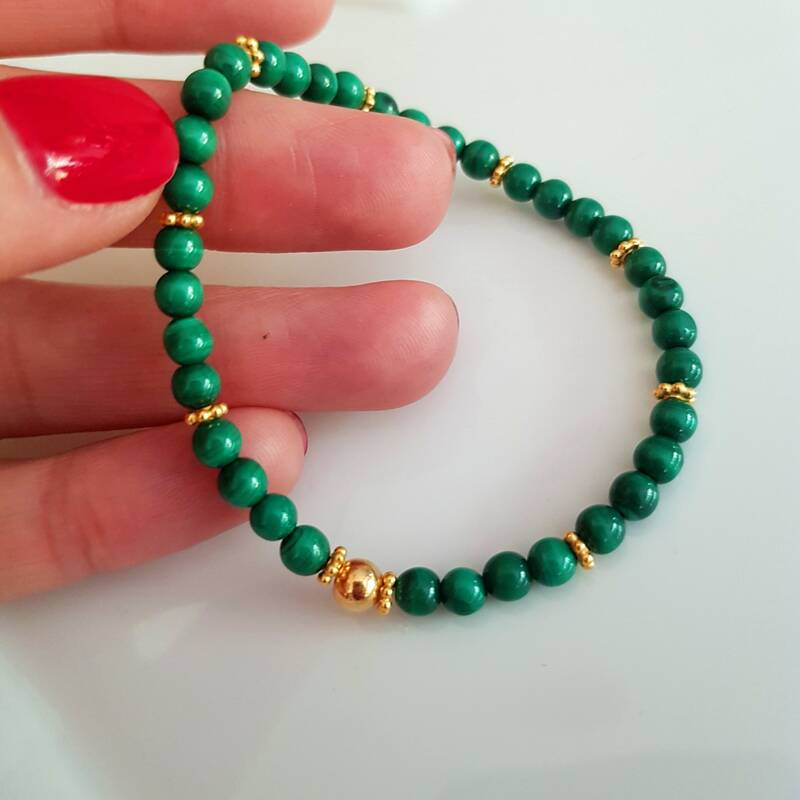 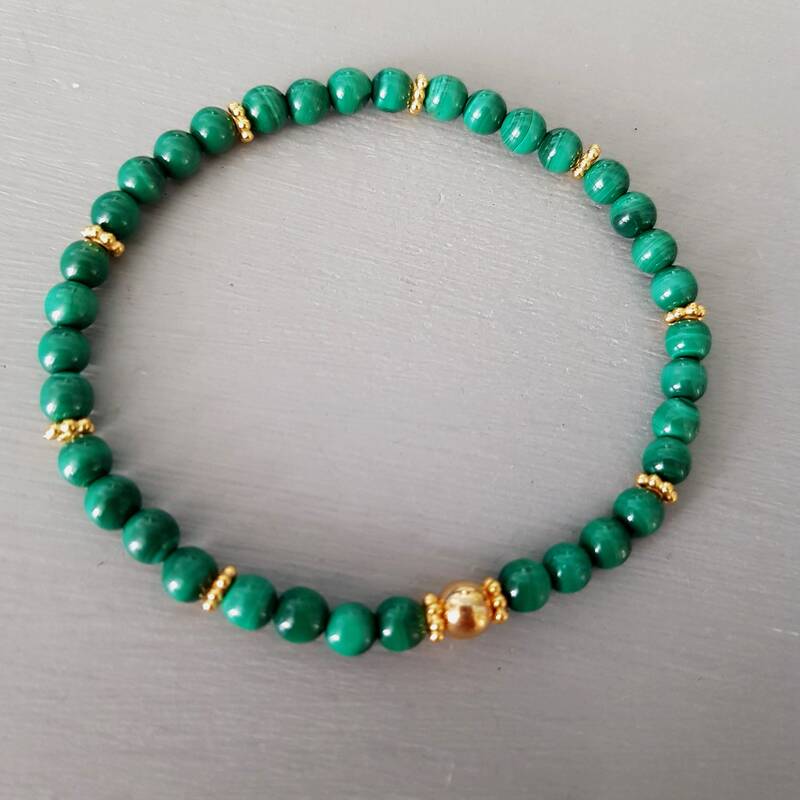 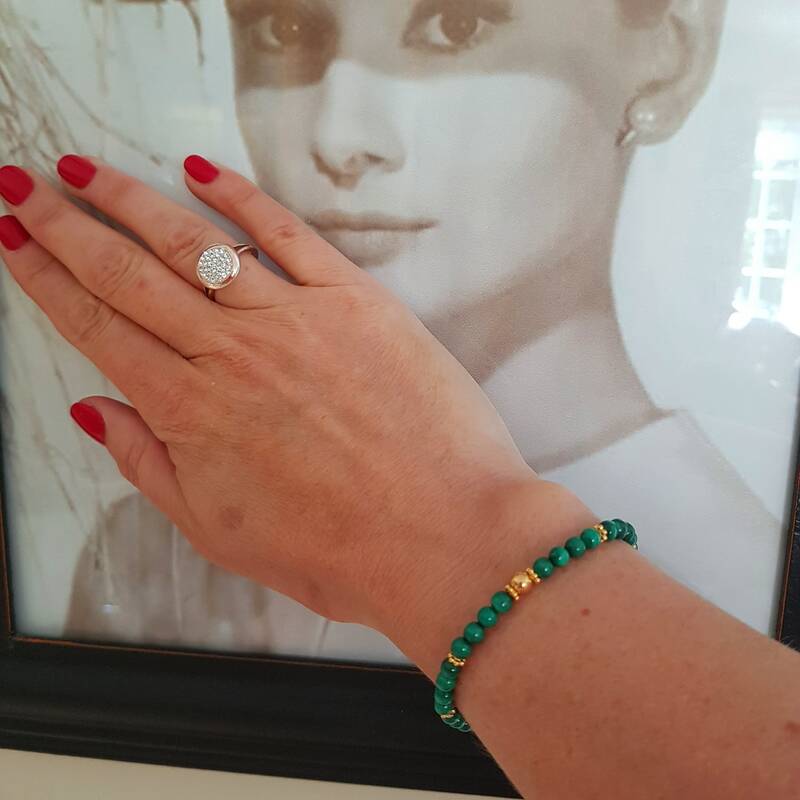 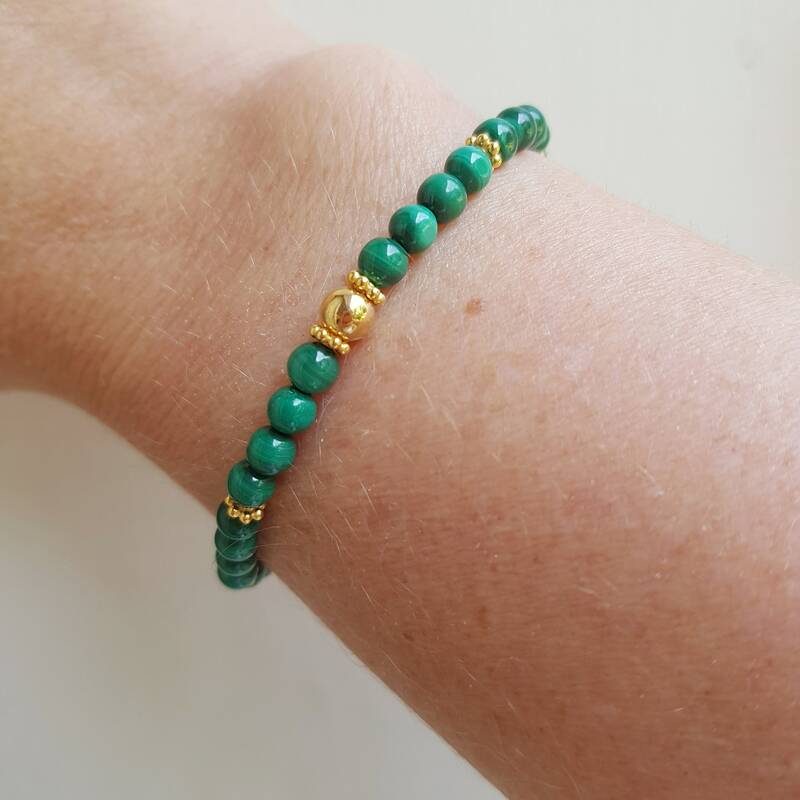 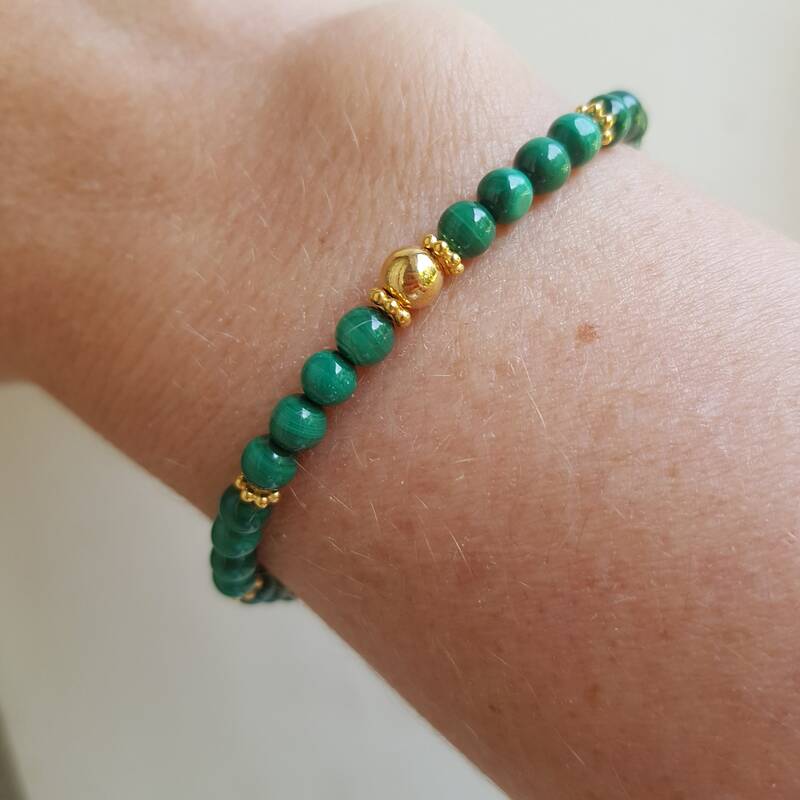 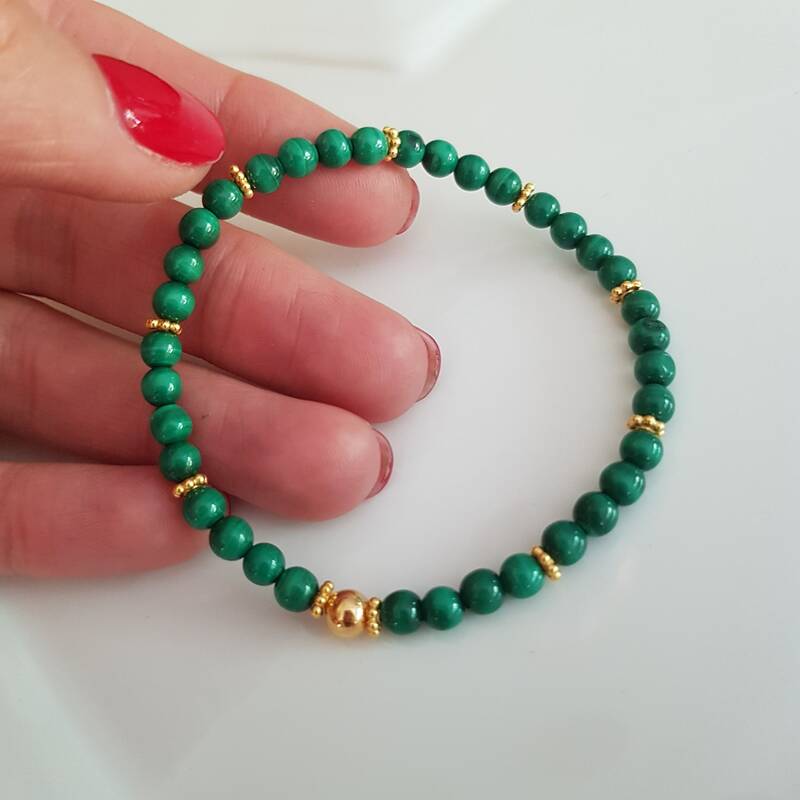 Pretty handmade bracelet with small 4mm green Malachite gemstone beads and 14K Gold Fill or Sterling Silver beads, please make your choice above. 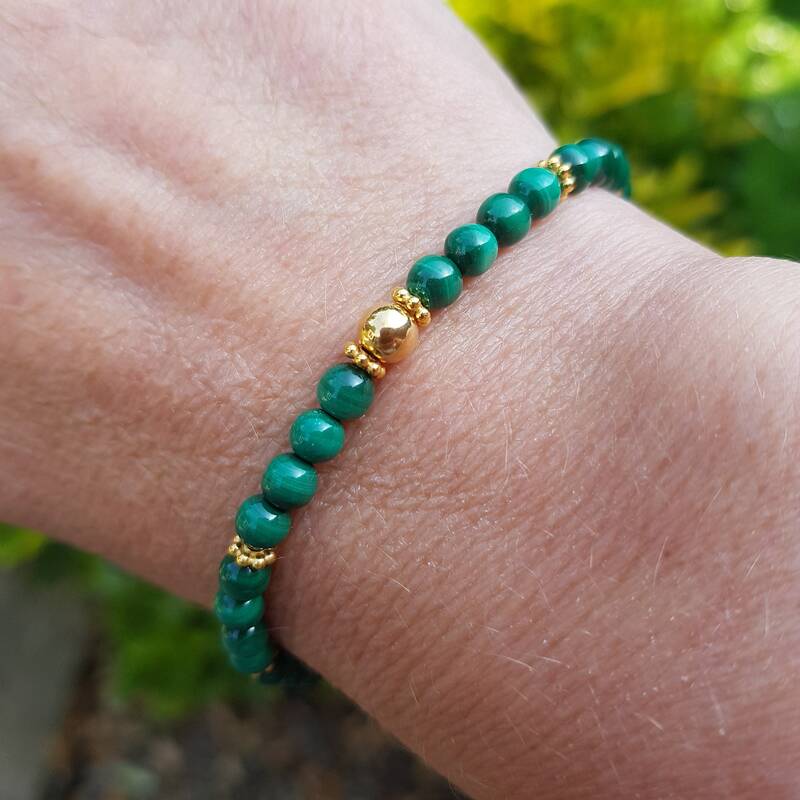 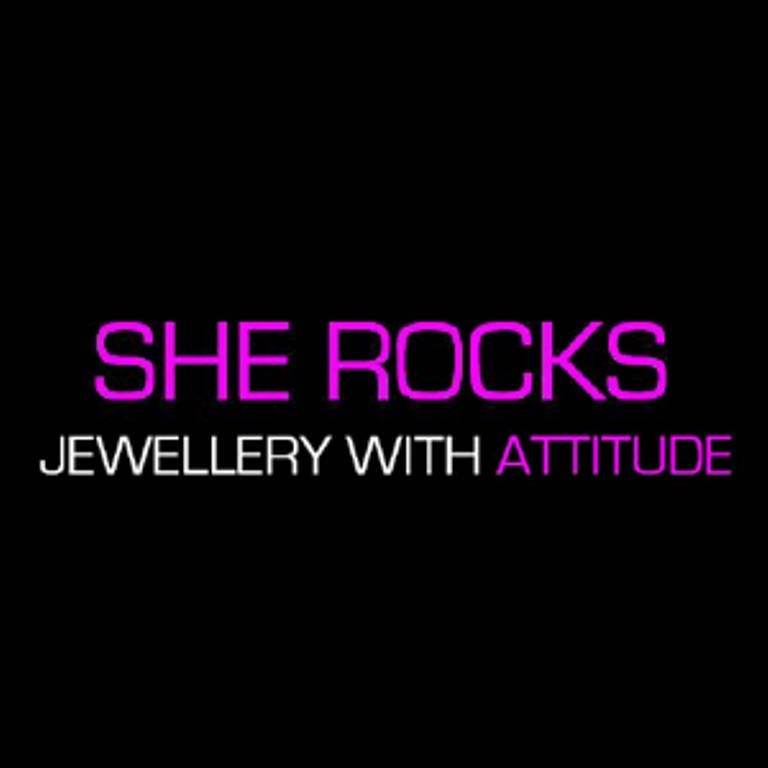 I also have the matching ring to go with this bracelet and a matching necklace and earrings can also be made on request. 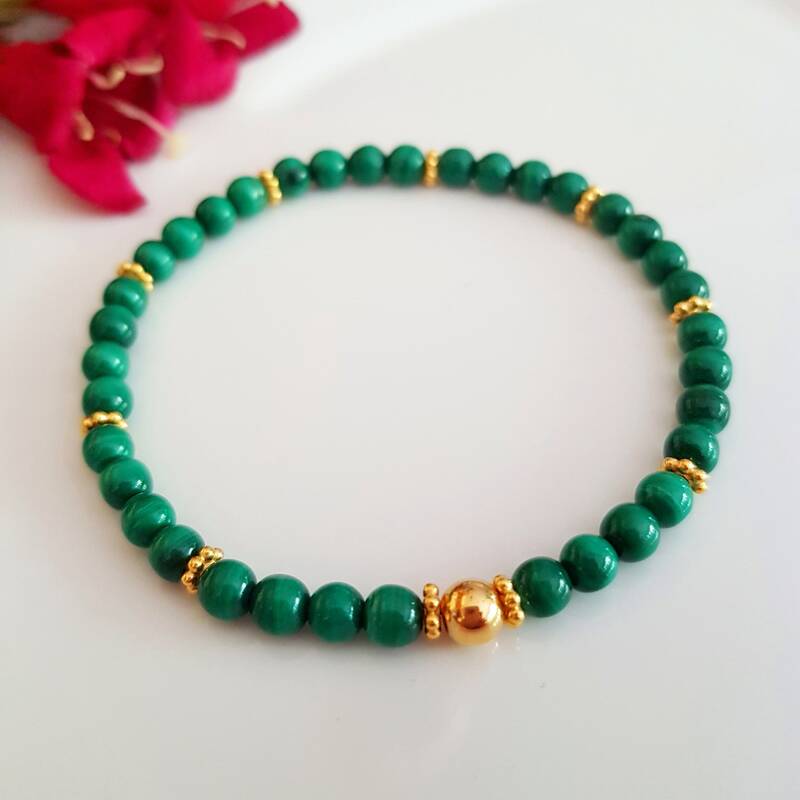 This bracelet comes in a pretty gift pouch, ready to give to a loved one, pretty gift boxes with satin bow are available as an upgrade at checkout also, to make an extra special gift to a loved one.